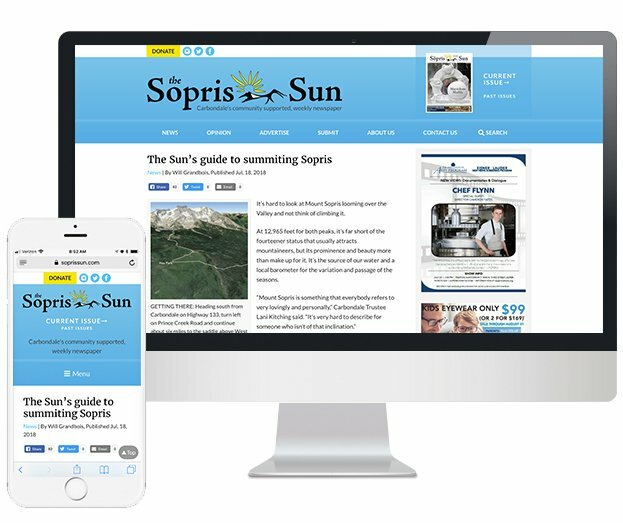 The Sopris Sun is a community-supported, community-centric, non-profit weekly newspaper that serves our local community here in Carbondale, Colorado. With a specific mission to inform, inspire, and build community, the Sopris Sun traditionally showcased their in-depth reporting in conventional print. A longtime client of FootSteps Marketing, the Sopris Sun recently hired a young, impassioned and energetic editor who understands the power of social media, bilingual options, and online advertising. 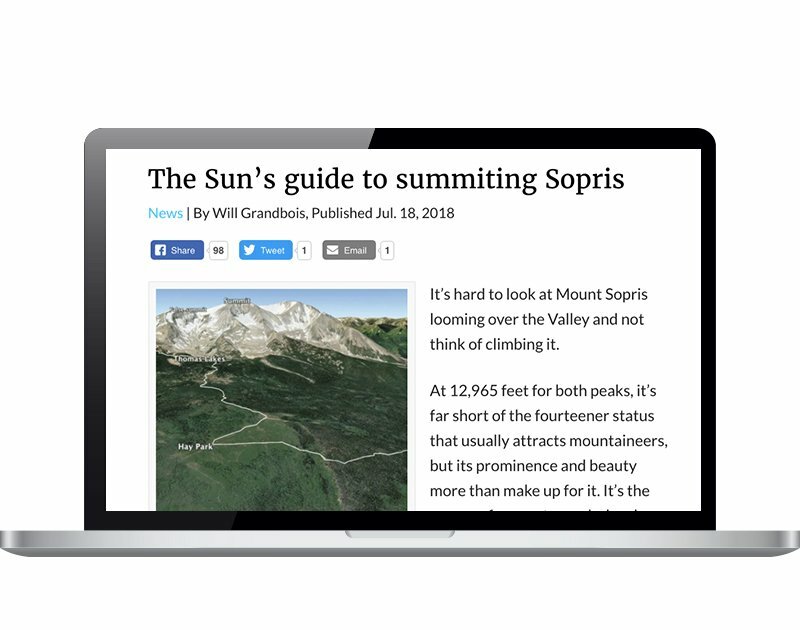 Our design and development team created a beautiful, easy to navigate online newspaper that drives traffic organically through the Sopris Sun's exceptional use of social media. Online display ads generate revenue while multiple custom widgets serve the online newspaper reader and community calendar user. Knowing that the weekly paper's goal was to drive daily traffic to the website by consistently sharing their in-depth reporting via social media, we provided them with the ability to share articles in a way that looks and functions great on behalf of the reader and the paper. In addition, we integrated their very active Instagram and Facebook accounts directly into the homepage to constantly deliver fresh content and connect with readers. 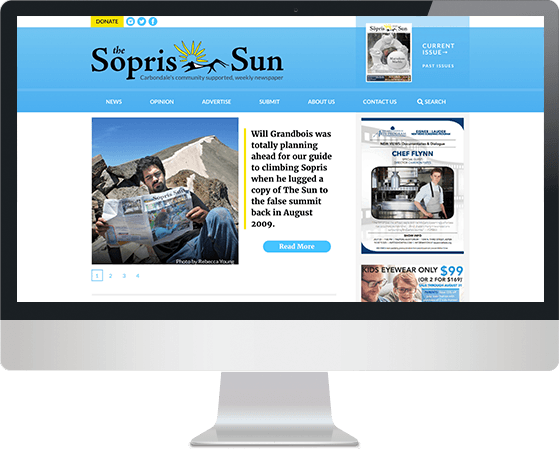 Soon after the deployment of the new SoprisSun.com, the website won Best Website of the Year by the prestigious Colorado Press Association. We were honored to share this award with the Sopris Sun’s hardworking team. Ready to Drive Footsteps to your Door? "FootSteps is the best! You all are so awesome to work with and it's great to have professional help with our website. We are always recommending FootSteps to stores like ours! :)"